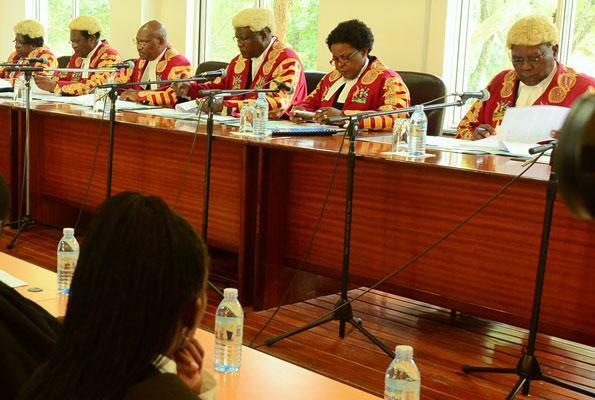 KAMPALA – The Supreme Court has set January 15 and 16, 2019 when it will hear an appeal filed in respect of a Mable Constitutional court ruling that upheld Constitutional amendments which lifted the presidential age -limit. The parties involved in the appeal appeared before a panel of seven justices for conferencing and presented the outcome of a meeting they had on Tuesday at the Ministry of Justice boardroom where they agreed to consolidate the three appeals into one. 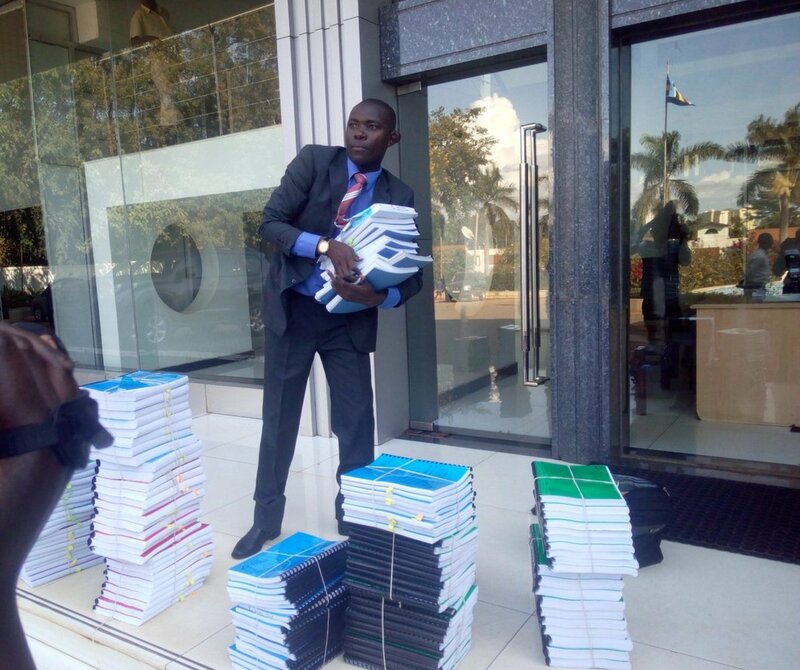 The appeared before the Chief Justice Bert Katureebe who ordered them to file and serve each other with their written submissions of not more than 50 pages by not later than December 31, 2018 . Other justices include; Jotham Tumwesigye, Paul Mugamba, Opio Aweri , Richard Buteera, Stellah Arach Amoko and Lillian Tibatemwa. The Attorney General William Byaruhanga told court that consolidate the three appeals into one because they all rise from the same judgement and address similar issues and also agreed on eight issues to be determined by court. They also opted to file written submissions following schedules given by court as opposed to oral submissions which consume time. Among the agreed issues is one whether the four constructional court justices who were part of the panel that heard the petition at Mbale committed procedural errors , whether they erred in law and fact to hold that the removal of the presidential and LCV officials age -limit was not inconsistent with the constitution . However, one of the appellants lawyer Male Mabirizi had rejected one of the justices on the panel; Richard Buteera but the Cheif Justice Katureebe was quick to a dress his fears saying he (justice Buteera) is sitting on today’s panel for pre-trial purposes but Justice Eldard Mwangusya who is currently out of the country is the one to sit on the quorum to hear the actual appeal . Mabirizi also raised an application to summon the speaker of Parliament Rebecca Kadaga for cross-examination during the hearing but justice Katureebe informed him that there was no quorum to hear his application. In court the appellants including Uganda Law society, six opposition MPs and Male Mabirizi and the respondent who is the AG. The chief justice told court that the judgment will be delivered on notice.